The history of France and eaux de vie. Discover this historic monument and birthplace of King François I. The Château Royal de Cognac passed into the hands of a certain Baron Otard in 1795, and thus escaped destruction during the dark days of the French Revolution. The Baron was instantly taken by the site, its unique heritage and the exceptional ageing conditions for its eaux de vie (a clear, colourless fruit spirit) provided by the château's thick walls. 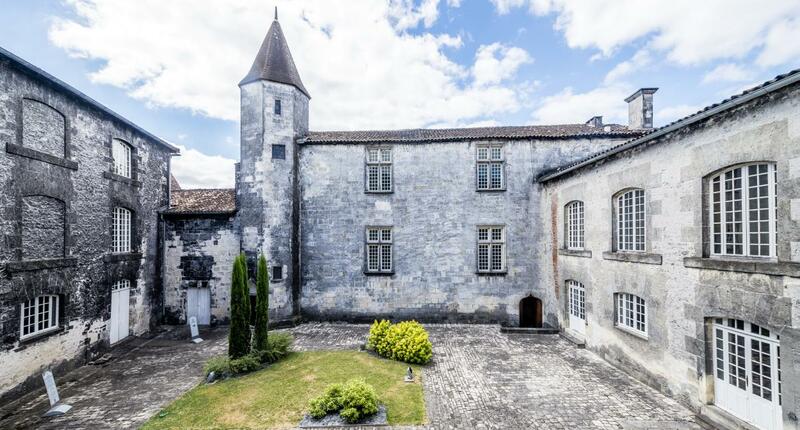 Today, you can explore this unique place and home of the Baron Otard cognac house with a visit to the historic cellars and rooms built in a variety of architectural styles. Venture into the 12th century cask room and vault, and discover the traces of a king who loved to entertain. Baron Otard continues this tradition of hospitality, organising seminars, gala dinners and marriages within the château's walls. Owned by the Bacardi-Martini group (Bombay Sapphire gin, Grey Goose vodka, and others), the château is filled with a range of fragrances, from orange peel to dried apricot. A series of experiences are available to uncover more of the château’s past, such as the Prestige experience, which ends with a tasting of a VSOP and XO Gold cognac. Or bottle your own cognac – the Héritage Royal, a deluxe XO! – on the Heritage experience, and add your own personalised label. Perhaps the perfect Christmas gift?